I have been on the look out for a new mascara for a while now and not really committed to anyone. The trouble with mascara is, it’s never really the formula that’s an issue is the brush! This makes the hunt a bit of a labour of love. I was watching television earlier in the week and came across the Rimmel advert for their new mascara and thought I shall have to give that a try and given that I was scraping the last molecules off my current mascara I decided to take the plunge buy this one. Price point wise, this is a little bit more expensive than your normal drugstore mascara. I bought mine from Superdrug and it cost about £8.99. With a slightly more expensive price tag, I was hoping that it would deliver full, thick clump free voluminous eyelashes. Before we go any further, I just have to be honest and tell you the problems I have with my eyelashes. SO those were the two things I was hoping this product would help me with. And most importantly, it was meant to be CLUMP FREE! There is nothing quite like completing a full makeup look and going to apply your mascara only to be ruined when clumps form making go from fleeky to freaky in 2 seconds flat. So my checklist ready, I was armed and ready to begin my review. 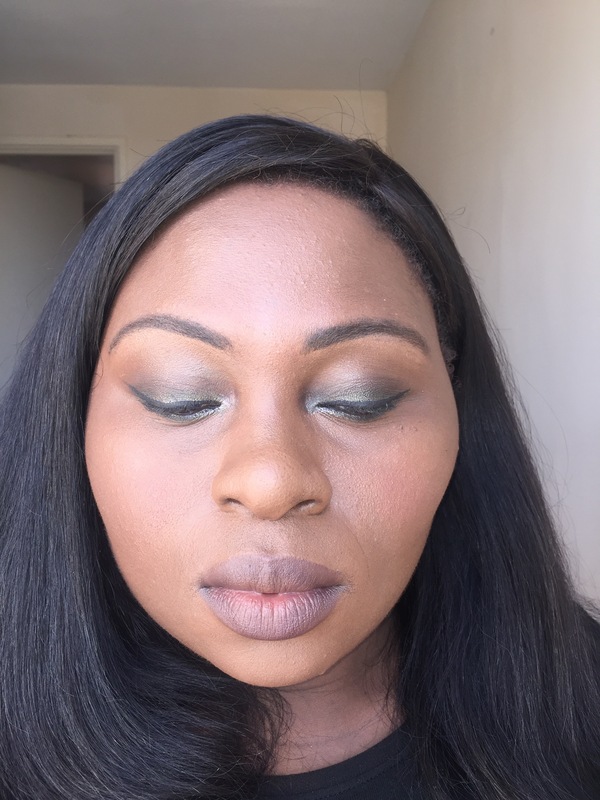 I decided to road test over a couple days and more notably on days when I knew I would be out all day and would need for my makeup to really stay put! The truth is, several days on since I made my purchase, my mascara is still clump free! The Shake Technology works and you can avoid banishing those mascara to the bin before their expiry date! It was extremely gratifying to be able to shake the wand and hear it sound off knowing that my mascara was would serve me for quite some time without clumping up which can be incredibly annoying! 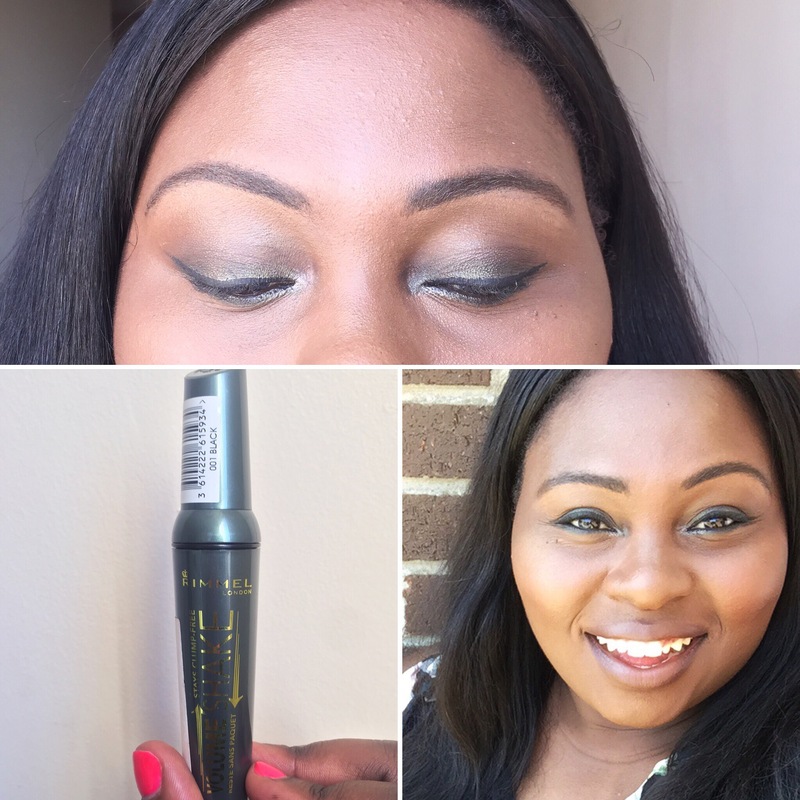 No matter how much product came out on reapplication, it never showed signs of clumping, so a job well done to Rimmel for introducing this innovative product. So this will definitely save you some money that’s for sure. Volume wise, I noticed the significant difference on application. The brush really did comb through my lashes and gave me the appearance of fully looking lashes. My only gripe is that I found the sizing of the mascara to be quite chunky to what I am normally used to, but this may take getting used to and this doesn’t really take away from the product’s effectiveness. So there you go, my mascara review on Rimmel’s new innovative product! Have you tried Rimmel’s new mascara yet?